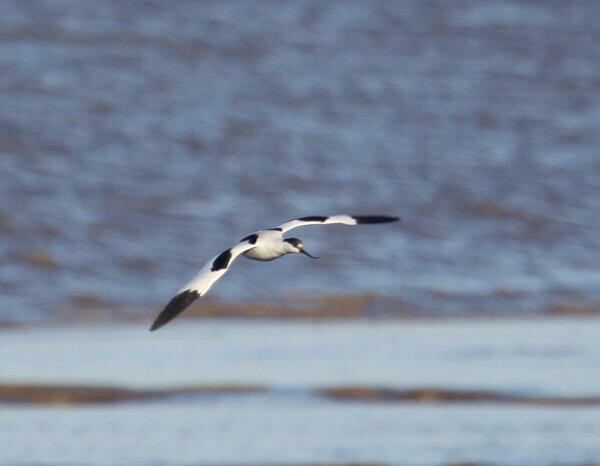 Avocets were once a rare visitor to Severnside but records have increased in recent years probably due to recent breeding records in South Wales and flocks of over 100 birds occurring in Bridgewater Bay in Somerset. It is still a notable bird here with only a handful of reports in any year. It has been seen in every month except July with the largest group involving 8 birds in February 2001. Below are some images captured in 2008 and 2009.